Planning permission has been granted for the expansion of a specialist, state of the art, nursing and dementia care home in Sleaford, Lincolnshire. Approval for the building of another 20 bedrooms has been granted for Glenholme Senior Living’s £5.2m home, which was recently constructed by Goldfinch Developments and designed by York based DWA Architects. The planning permission will take the service up to 84 beds so that it can meet growing need in the area. The recently completed home features a cinema, hair salon, and café bar. Each bedroom has an en-suite wet-room and a perimeter corridor outside most rooms, giving access and views of the large central landscaped courtyard. 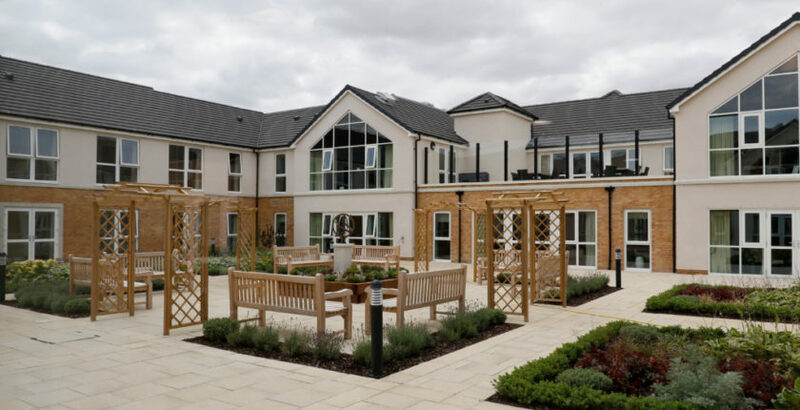 With over 30 years’ experience in the care sector, DWA Architects has gained a national and international reputation for original, innovative and creative design and professionalism and has been involved in over 450 completed care home developments and won many design awards.